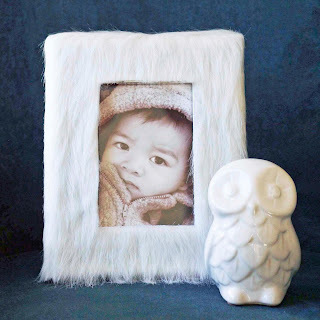 Here's an easy way to change up your decor with a little glue and faux fur. 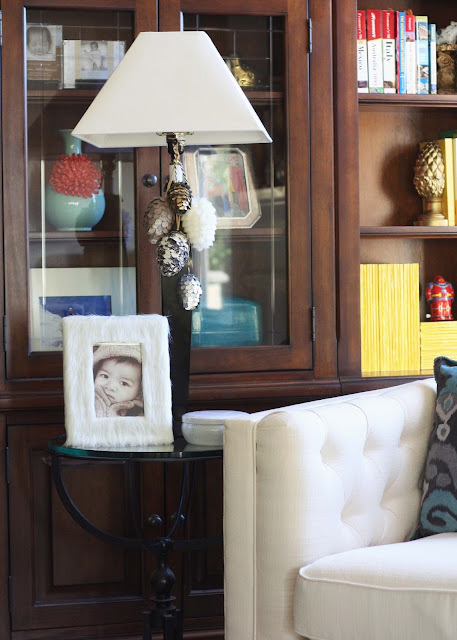 I've been a little enamored with faux fur lately and have added it to our family room decor-- fluffy pillow, fluffy throw, even a fluffy rug. This little fluffy white faux fur frame fits right in and adds enough whimsy without being gaudy. It's perfect for the upcoming winter months! Find an old frame or purchase a cheap one. I was given this one years ago and had never used it. Some of the fake silver was chipping off so it was the perfect candidate! Lay the frame on the back of the faux fur. Make sure to position the frame so the fur goes in the direction that you want. 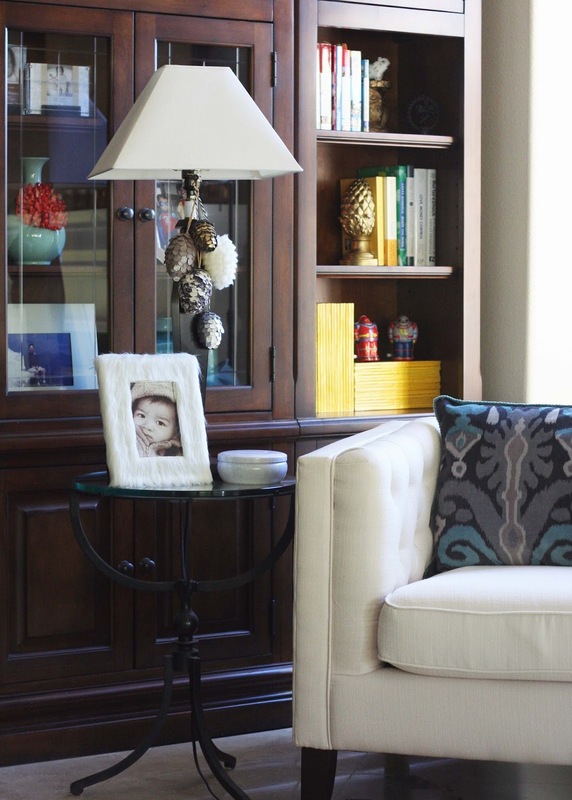 Use a pencil to outline the outside of the frame. Then use a ruler to measure the distance of the photo cutout to the edge of the frame. Use those measurements to draw in the photo cutout area on the back of the fur. It's time to cut the faux fur. At this point, you'll probably want to go outside or work over a trashcan because faux fur is messy stuff. Leave a 1/2 - 3/4 edge and cut out around the frame template. 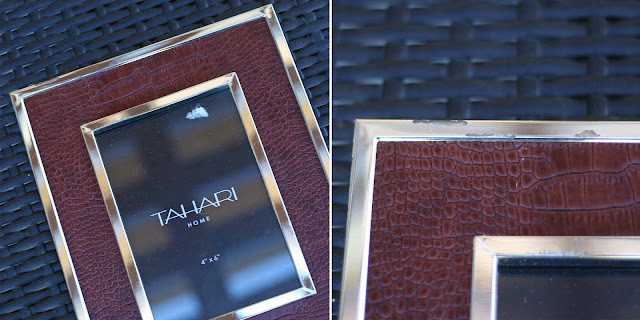 This extra edge will wrap around the edges of the frame. Lastly, cut out the area where the photo goes. 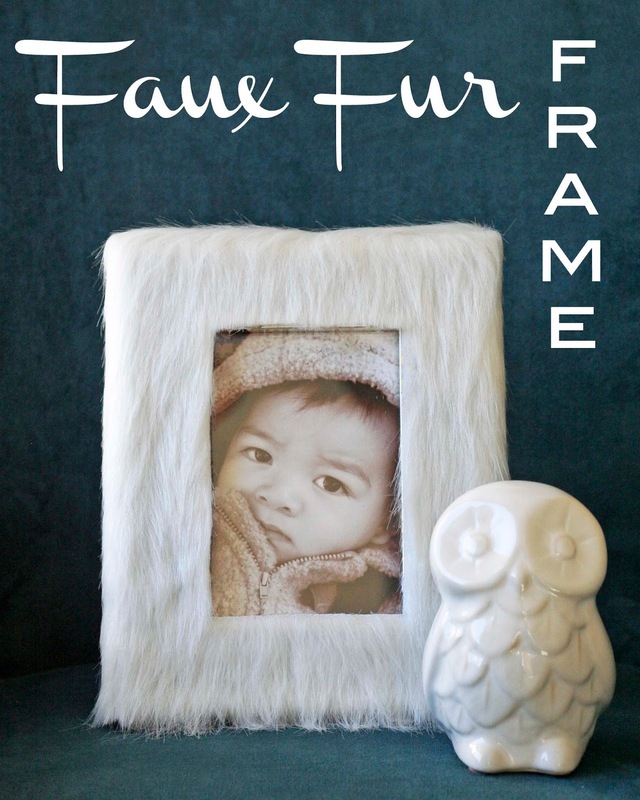 Use a hot glue gun (high temp works best) and glue the faux fur to the frame. First I positioned the area where the photo goes then, working in small sections, I glued the fur to the frame. The last step is to fold over the edges, glue them down and cut off any excess material. That's it!